The first ever IFAF Europe’s U15 Flag Football European Championship will take place in Serbia in 2016. 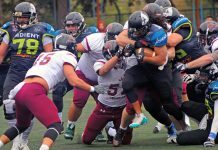 Hosting rights have been awarded to the Serbian Association of American Football (SAAF) and the city of Belgrade. Mikael Roos of the IFAF Europe Flag and Beach Flag Competitions Committee is excited to share the news. 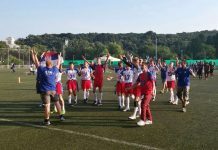 – We all are looking forward for the first IFAF Europe U15 Flag Football European Championship being played and I’m excited over the arrangement the Serbian federation will make in amazing Belgrade. Players, coaches, officials and other involved will have a fantastic experience and this will be a great start on developing sustainable Flag Football in Europe. 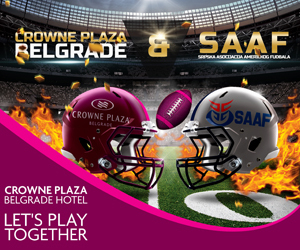 This is not the first time for European tournaments to be hosted in Serbia, and SAAF is up to the task. – I want to express our sincere gratitude to IFAF Europe for this opportunity. 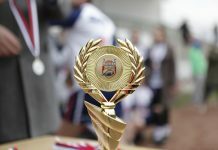 SAAF is very proud to be elected as a host of the youngest European tournament – FFEC U15. 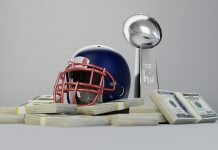 I am sure that this will be real celebration of American football and this will be great chance for further promotion of our sport in Serbia and region. We will try to present Serbia and Belgrade in the best way to all participants from whole Europe and we are looking forward to seeing you next summer in Belgrade – says Rade Rakočević, SAAF president. This memorable event for some of our youngest players – both boys and girls, is set for the first week of August.